Well, that didn’t take long. 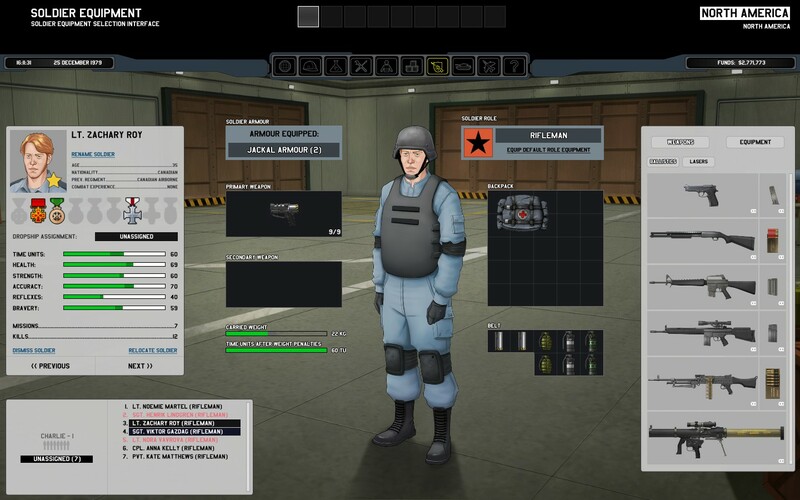 I gave up on my Xenonauts game. I established three bases on the world : North America, Europe, and Indochina. 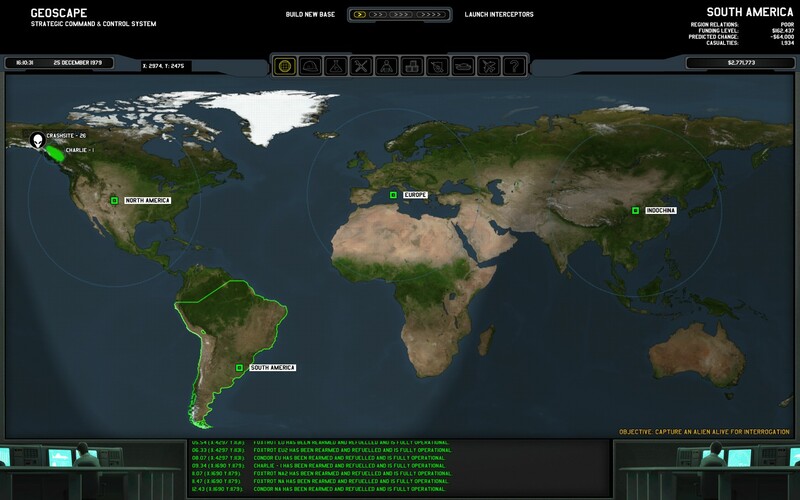 The aliens decided to attack a vulnerable base (Europe), at which I had built no facilities for defense. No missile facility. No soldiers for defense. So they destroyed it and with it went my hopes for finishing the game. Well, plenty of lessons learned there. Three bases may have been too many. I was also holding on to a lot of money, and fat lot of good that did me – for a few hundred thousand I could have defended the base. But the idea of trying to dig out of that whole didn’t appeal to me at all. So I started a second game immediately. This time, I built a base in the Sudan, and a second base at roughly Shanghai. Both these bases should pretty much cover pieces of all continents except America, especially once multiple radar bases are established. Having re-learned the squad tactics necessary in the game, I’ve managed to play for three game weeks – and eight alien crash site investigations – without getting anyone killed. Research is going along well, and I’m already producing Jackal armor. Let’s see how Game #2 comes out. 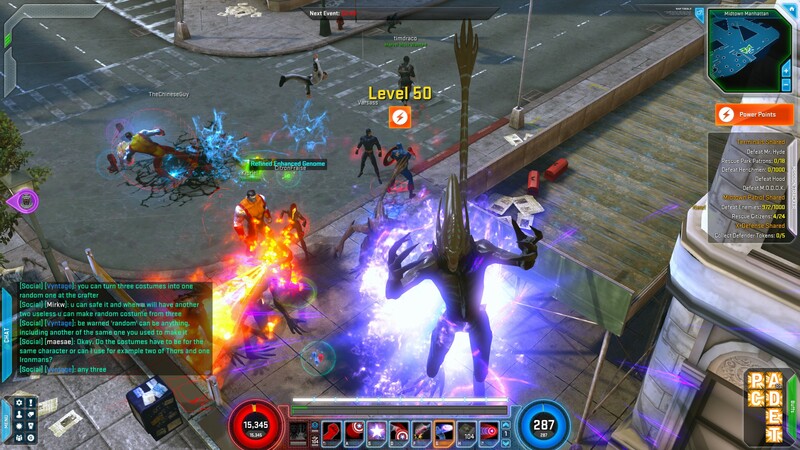 I’ve continued blowing through the levels of Marvel Heroes. Levels don’t seem to mean too much – just enjoying the chaotic combat and letting the character power element just take a back seat. Next step, at some point, will be trying out the red terminals for an actual challenge. Woo Hoo ! Level 50. Captain America is currently level 51 and I should be able to reach 60 in, perhaps, two weeks time of just casual playing. Or a couple of nights of intense constant combat, but that’s starting to get boring. He’s been geared up with all uniques and continues to collect the relic items. Relics, for the uninitiated, are items that stack and provide more power the more relics you collect. Presumably there’s some limit to the size of the stack. 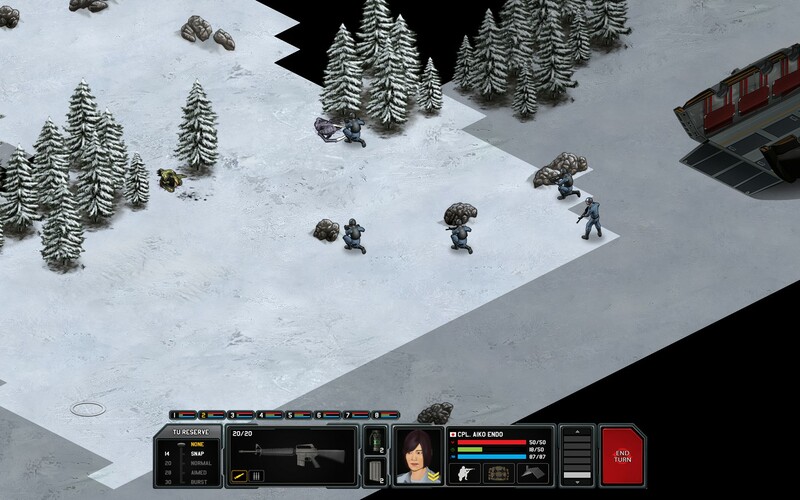 So, tiring of Marvel Heroes, I started up Xenonauts. Boy, this game is the XCOM successor all right – it’s almost exactly the same game that I played back in 1995. And it’s a total blast. I started out with Easy mode, which should make the game pretty simple, and very quickly built up three bases – NA, EU, and China. This covers most of the planet and helps me to keep the funding going. Covering most of the globe into December 1979. The gameplay is standard – alien UFO’s dodge around the planet, and you seek to spot them with radar. If they’re spotted, you can send jets up to intercept and shoot them down. One of the things the game failed to tell me – I can send up *more than one* aircraft on each intercept. I can take both of the Condor class planes that you get at the start and simply click on both to send a two-plane convoy after an alien. I only figured this out after getting lots of planes shot down and wondering, “What do you mean, Easy mode?”. Other things I should have paid more attention to – setting up the soldier templates with how I wanted my soldiers geared up. This helps a lot rather than tediously giving each soldier the equipment I wanted. In the end, I just gave each person items individually. Right now the squaddies are decked out in Jackal armor with a mix of laser pistols and laser rifles. Ready to plink away at the aliens. You also need to research and understand the aliens technology, which I’m working on slowly. I bought a second lab at a second base, and have it crewed with a few scientists. I’m unsure how careful to be about maintenance expenses, given a few careful gameplay tweaks the developers implemented. Firstly, you can do an “airstrike” on a crash site you do not want to attack, for instant cash. Second, if you recover items from the aliens they get sold. This means you can’t outfit your squad with plasma rifles from the aliens – you have to make them yourself. This generates more money for you obviously, but I’m still getting the hang of it in this first game. Heh. First game. I can’t recall the last time I finished an XCOM game. But I sure want to finish this one. This is a good, good game. Very deep and requires a lot of time to play. It’s perfect for me. With my premium time expired in World of Tanks I expect this and Marvel Heroes to be games of choice for the time being.